Max Bupa Health Insurance Company Limited is a joint undertaking between the Bupa Finance Plc and the Max India which specializes in healthcare services. Max Bupa health insurance policy not only protects your health, but also ensures that you don’t have to burn your hard earned money during hospitalization. Max Bupa medical insurance is considered as India’s most preferred Health Insurance Company because of its customer support team and services. So if you think about any health insurance plan, you should buy Max Bupa Health Insurance policies. Now you can purchase Max Bupa health insurance online in India because of the booming appearance of internet. Why Should You Buy Max Bupa Health Insurance? There are many reasons that why you should buy health insurance. Whether you are rich or poor, young or old, being diagnosed with a disease that needs hospitalization then insurance plans of health become handy. Here we will discuss that why health insurance from Max Bupa. ✔You can renew or buy Max Bupa health insurance policies through company’s online portal without any hassle. ✔Max Bupa medical insurance offers cashless hospitalization at 3,500+ network hospitals across India after receiving the request from the hospital. ✔The company offers comprehensive coverage. It provides health insurance policies with a Sum Insured of upto Rs.1 crore. ✔You can enjoy the tax benefits under section 80D if you buy Max Bupa health insurance policy. ✔This insurance company in India offers lifetime renewal option. ✔Some specific Max Bupa medical insurance policies offer international cashless treatment for major critical illnesses like organ transplant and cancer through its global network in over 190 countries. ✔As per Max Bupa mediclaim policy, you can get coverage for maternity related expenses after a 1-year waiting period. ✔Max Bupa medical insurance offers plans for the entire family from newborn babies to senior citizens under a single policy. ✔Max Bupa mediclaim policy offers direct claim settlement as there is no involvement of a TPA. ✔Provides coverage for maximum 4 members of your family. The members can be 2 children and 2 adults. ✔Under Max Bupa medical insurance, insured will get a lump sum amount in case he/she diagnosed with specified critical illness. ✔Pre and post hospitalizations medical expenses are covered under Max Bupa health insurance policy. These medical expenses are for 30 days prior to hospitalization and 60 days post-hospitalization only for related mediclaim costs. ✔Pre-existing diseases are covered after 4 years of waiting period. ✔No sub-limits on room rent under this health insurance scheme. To meet all the requirements of customers Max Bupa offers some cost-effective health insurance plans in India. These plans are Max Bupa Heartbeat Health Insurance Plan, Max Bupa Health Companion Policy and Max Bupa Health Assurance Plan. This plan covers basic medical expenses along with offering a loyalty benefit and discounts for its customers. This policy is designed for individual as well as family floater basis. Below-mentioned coverage are provided by this mediclaim insurance policy. ✔Heartbeat Gold plan of Max Bupa health insurance online offers coverage upto Rs.50 lakhs for individuals and the entire family. ✔Pre and post hospitalization expenses, day care procedures, health check-up are covered under this insurance scheme. ✔Above 65 years of age 10% or 20% co-payment is applicable. ✔Under loyalty program, this Max Bupa health insurance online plan offers additional Sum Insured and discount benefit on every renewal irrespective of claims made. 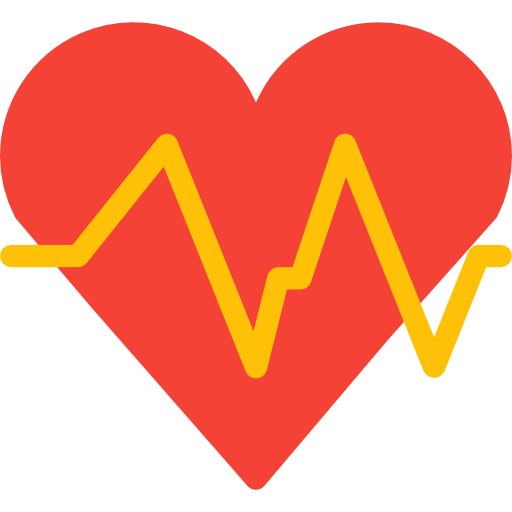 ✔Heartbeat Silver Plan is a top-up plan of Max Bupa health insurance policy. ✔This top-up plan offers coverage of Rs. and INR 3,00,000 for all the family members. ✔This Max Bupa Health Companion Silver insurance policy offers basic coverage in the range of Rs.2 lakh and Rs.4 lakh for individuals and for the entire family. ✔Co-payment of 20% is also applicable. ✔Max Bupa Health Companion Gold policy offers basic coverage of Rs.5 lakh. ✔Pre and post hospitalization expenses, day care procedures are covered in this plan. This Gold policy offers higher expense cover than Silver Plan. This is an exclusive and the best Max Bupa medical insurance policy which offers coverage for critical illness, personal accident and hospital cash at 4 different levels of sum assured. This insurance scheme is available as individual and family floater coverage. ✔Under critical illness coverage, the plan would provide lump sum amount in the range of Rs.3 lakh and Rs.10 lakh. ✔Under hospital cash, this policy provides coverage in the range of Rs.1000 per day to INR 4000 per day. ✔As per personal accident cover, it would provide lump sum amount in the range of Rs.5 lakh and Rs.25 lakh. ✔After logging into company’s official website, click on the ‘Renew’ tab to initiate Max Bupa health insurance online renewal. ✔Then enter the previous policy number and submit. ✔Thereafter, you will be diverted in another page where you also have to enter Max Bupa policy number and ‘Date of Birth’ then submit. ✔In the next step, click on ‘Pay’ button to proceed Max Bupa health insurance renewal online. ✔Once you have done the payment successfully, you will receive a confirmation mail stating the completion of Max Bupa health insurance renewal online. 1. What are the benefits of health insurance? The benefits of health insurance may include saving out-of-pocket expenses on injuries or illness, free health check up, dental treatment, domiciliary treatment, coverage against pre-existing diseases, cashless treatment facilities etc. 2. Why do we need a health insurance? The reason we need health insurance is to help us pay for care. Since accidents and injuries happen unexpectedly and you can’t predict what your hospital bills will be like, health insurance protects you and your family financially in one of such events. 3. How important is it to have health insurance? It is important to have health insurance for more than one reason. Health insurance backs you up financially in evens of an unexpected injury or serious illness. A person who has no health insurance receive less medical care, less timely care and they have worse health outcome. 4. Which health policy is best in India? Some of the best health policies in India are, Star Health Senior Citizen Red Carpet, Star Health Cardiac Care, Apollo Munich Optima Restore, Bajaj Allianz Health Insurance for Individual, Max Bupa Heartbeat etc. 5. What is the difference between a deductible and copay? A deductible is a fixed amount that a patient must pay within a given time period, generally a year, before his/her health insurance cover the costs. A copay is a fixed amount that must be paid by the patient for availing particular health insurance benefits, with the remaining balance which will be covered by the health insurance company.